Etude in C Minor - Getchell, Robert W.
Etude in G Major - Bagantz, A.F. Transposition Etude No. 68 - Getchell, Robert W.
Transposition Etude No. 69 - Getchell, Robert W.
Transposition Etude No. 70 - Getchell, Robert W.
Transposition Etude No. 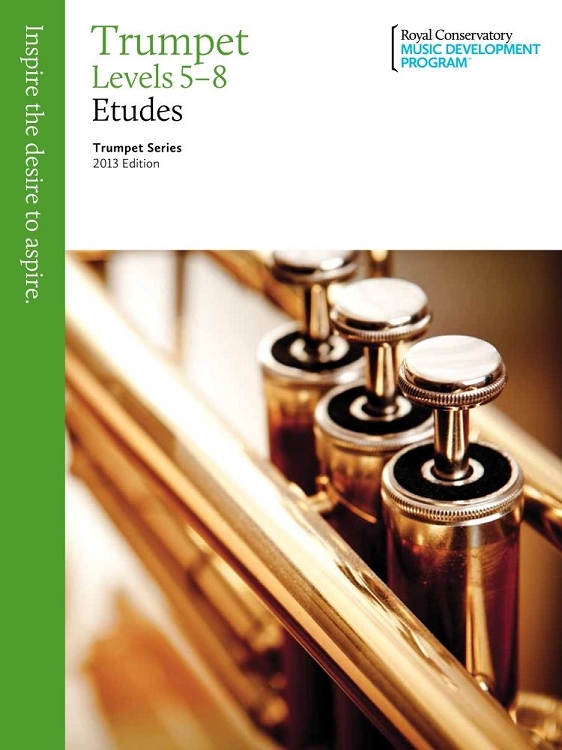 72 - Getchell, Robert W.
A comprehensive pedagogical resource, the Trumpet Series, 2013 Edition addresses the need for a single collection of quality music materials to foster development from the beginner to advanced levels. With Repertoire, Compact Discs, Etudes, Technique, and Orchestral Excerpts, this series offers a balanced and organized course of study for the aspiring virtuoso. 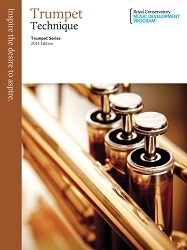 Nine volumes of Repertoire have been carefully selected to encourage a singing approach to trumpet playing. A wealth of folk songs, transcriptions, and arrangements of well-known repertoire at the early levels assist in the development of tone and flow of wind, preparing students for the Baroque, Classical, and 19th- through 21st-century repertoire found in the intermediate through advanced levels. Throughout the series, special attention has been given to issues of range, dynamics, and articulation, aimed at steady technical progress along with exposure to a wide range of styles and musical eras.